What happens when you play bassoon to a whale underwater? What classical music makes humpback whales purr like kittens? Discover the mysterious and sophisticated sound world of these noble creatures. 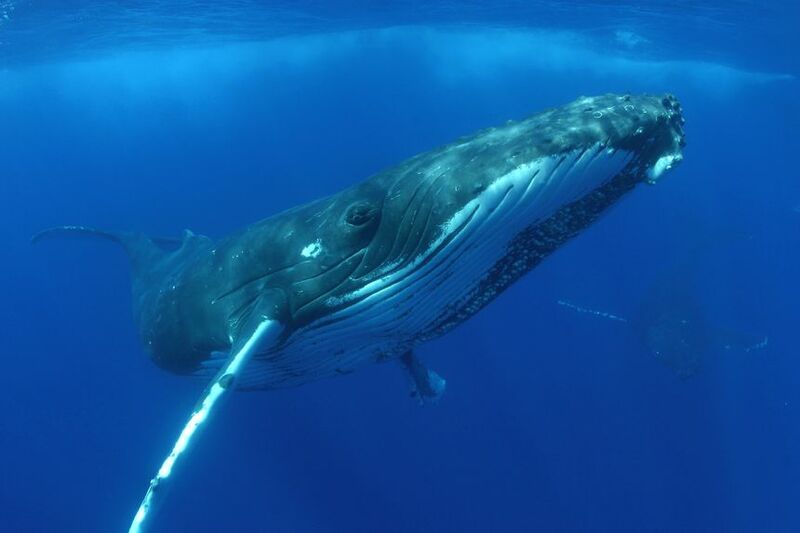 There are three species on Earth capable of song: birds, humans, and whales. However not all whales are capable of singing: only humpback whales, blue whales, and right whales sing, and sometimes for days on end... But where do these whale songs come from? "The word song was first used in 1971", explains French bioacoustician Olivier Adam. Two American researchers collected recordings made by US submarines to analyse the sounds made by humpback whales. "They drew by hand each sound, each "vocalise", and noticed that they were organised into phrases, into repeated phrases", continues Adam. This is what sets apart humpback whales from the 90 other types of cetaceans also capable of song, used primarily as a method of social interaction but not in a repeated fashion, or with leitmotiv (musical phrases). The whale is capable of control its song: it can push more or less air, raise or lower the pitch of its tone, and remain aware of what it is emitting. Since the 1970s, researchers have tried to analyse these songs...to this day, there is still much to learn. Only last year, during the summer of 2018, composer and documentarian Aline Pénitot made an interesting discovery: "I discovered a timbral relation between the bassoon and humpback whale songs", explained the documentarian. Pénitot therefore composed and mixed these sounds with the bassoonist Sophie Bernado to reproduce the cetacean song, and broadcast it in the ocean off the coast of Réunion, accompanied by Olivier Adam. "They responded to the sounds. They altered the structure of their songs, and after a little while, they only produced pulsating sounds." The result was beyond their wildest hopes. "They responded to the sounds", explains the explorer. "They altered the structure of their songs, and after a little while, they only produced pulsating sounds. They stopped their songs and, together, began purring." This purring (or pulsating sound) corresponds in human terms to a vocal fry, a vibrating sound from the throat. The experience, however, did not stop there: other than her compositions for bassoon, Aline Pénitot also broadcast Litany for the whale by John Cage, one of her favourite musical works, as a "thank you for such an incredible moment", and Ondas Do Mar de Vigo by Martin Codax, a 12th-century chant performed by Bifi Viva Biancaluna. "A kind of Galician litany for the ocean. And when I played the chant, there was the same response three times: they stopped their leitmotiv and began purring in unison with the music", explains the composer. Much like a purring cat, does the purring of a whale hint at its well-being? According to Aline Pénitot, there is no doubt: "they purr when they are happy or at ease, or in a moment of sharing between species, otherwise they would have stopped or have exhibited a behaviour we can understand for when they are unhappy." The small crew was surprised when they first heard the response: "The first time, we were all moved to tears. It was really moving, it gets under your skin, and goes straight to the heart, it's not something that just goes to your eyes", remembers Aline Pénitot. Olivier Adam is slightly more reserved: "We can modify an animal's behaviour with the music that we play. Cetaceans can hear sounds, so it's normal for them to react." Remains to be seen to what it is the whales like to listen... Unfortunately, we are still far from knowing for sure if whales prefer listening to John Cage rather than another type of music. The greatest risk, in the near future, can be summarised in two words: noise pollution. "It is on the rise, notably in the northern hemisphere with the increasing maritime traffic and the growing ship sizes, generating louder low-frequency sounds, which travel farther. The noises also come from wind farms out at sea, and of course human activities", explains the bioacoustician. The cetaceans therefore adapt to these changes: they swim closer together so as to hear each other better, and distance themselves from the surrounding sounds. According to Aline Pénitot, there are ways to counter the increasing noise pollution: music. "Music in the water could be a way to compensate for our ecological waste..." Before that, the composer prefers focusing on the analysis of whale songs so as to better understand them, and eventually even communicate with these fascinating creatures.